If you’ve visited Oglebay Institute’s Schrader Environmental Education Center in the past year, you’ve probably met director Molly Check. She’s an educator and naturalist and she began her tenure at the Schrader Center in April of 2017. She recently sat down to tell me a little bit more about herself. 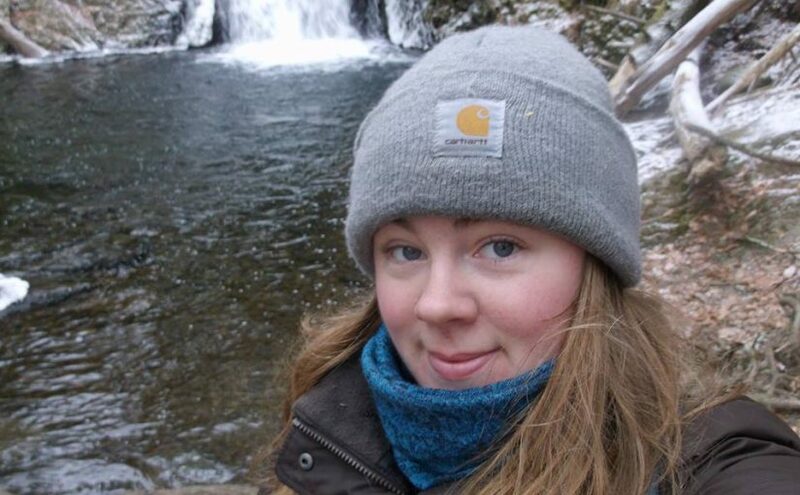 Originally from northwestern Pennsylvania, Check has worked at nature centers in Minnesota, the Poconos, and most recently, Connecticut, where she spent three years at Denison Pequotsepos Nature Center. Check obtained her bachelor’s degree in environmental education at Slippery Rock University. She also has a teaching certificate for environmental education, grades K through 12, but hasn’t taught in the public school system. 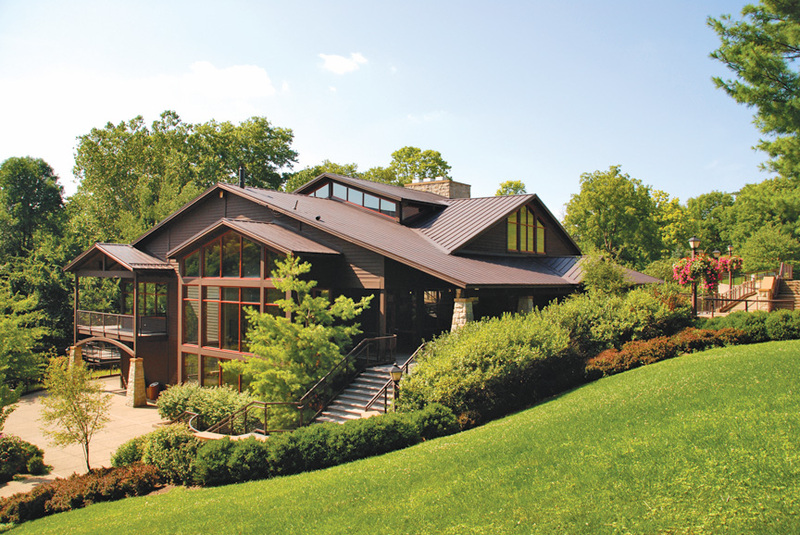 Oglebay Institute’s Schrader Environmental Education Center. Younger generations have their work cut out for them and will need to work hard to affect lasting environmental change. In a profession with so much riding on it, Check is aware of her responsibilities. As for her favorite part of the job, she refers to a morning I spent with her and the Schrader Center staff as they measured water quality and sampled aquatic life in the stream behind the Center for a new, long-term study. (Story coming in November!) Specifically, she enjoys the camaraderie with other nature-lovers. What current environmental issue does Check hold closest to her heart, as an educator? Check said that the entire world faces water problems. They may present themselves differently, in the form of droughts or floods or water pollution, but every nation will soon need to address these issues. She added that climate change is at the forefront of all environmental education conversations right now, as it should be. Her hope is that conservation efforts will be ongoing and will lead to action on a local level, first and foremost. With environmental issues compounding as the climate changes, it’s easy to get discouraged by the mountain of problems we face in every country, every ecosystem. Surely, an environmental educator must get discouraged. Does she? She does feel she’s making a difference. She places tremendous hope in children and believes the work she and her staff do makes a lasting impact on the next generation. What does a naturalist like Check do in her spare time? If you visit the Schrader Environmental Education Center, you’ll probably run into Molly Check. Maybe you’ll take a class or go on a nature walk with her. She hopes, first and foremost, that you learn something new during your visit. She hopes you’ll be excited to come back and take a hike on the nature trails. “When you’re out exploring nature, you never know what you’re going to see,” she said. She also reminded me that the staff has worked hard over the last year to build new exhibits, most of which are hands-on and will rotate with the seasons. Expect something new every quarter. 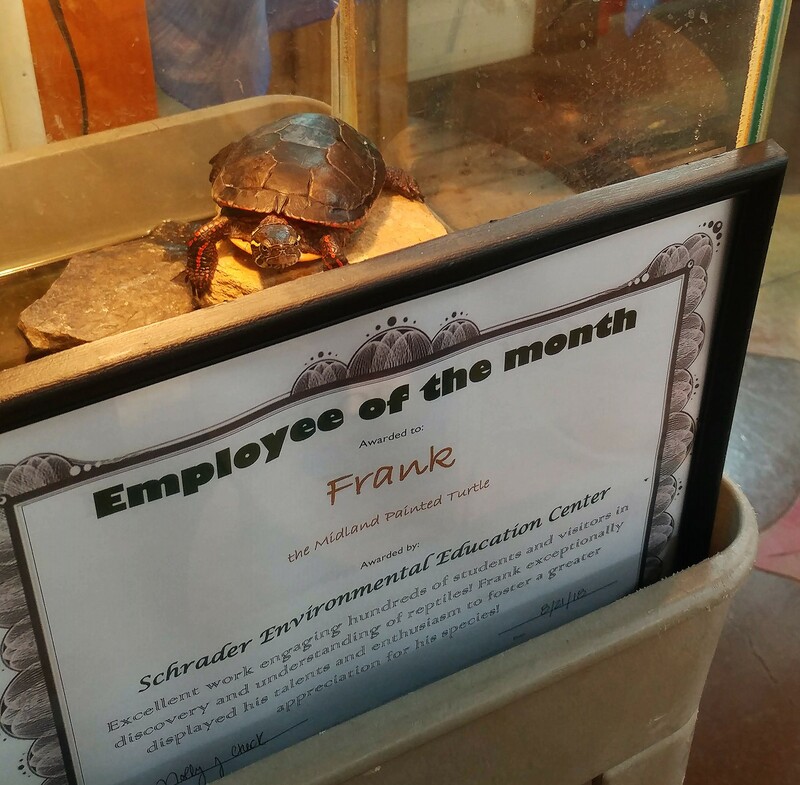 Additionally, come say hi to the live animals, like Frank, the midland painted turtle (Schrader’s latest Employee of the Month) or Taylor, the corn snake, among other reptilian residents.